“I can’t get into the Christmas spirit.” How often we will hear this complaint over the next month. It is a growing problem; a problem that does not discriminate between Christian and non-Christian. In hopes of capturing this spirit, we attend Christmas parties throughout the early weeks of December. We turn to Christmas music, but still no avail. We blame the “culture” for the secularization of Christmas. No matter what we do, the Christmas spirit remains elusive. Perhaps the problem is something else. Could it be that we do not get into the Christmas spirit because we never “get into” the spirit of Advent? As the Latin derivation of the name suggests (Adventus for Coming), Advent is a period of preparation for the celebration of the Feast of the Incarnation on Christmas. 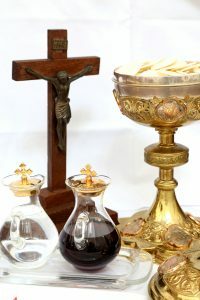 Although it has been observed to varying degrees and varying lengths of time throughout Church history, it has always been viewed as a “little” Lent because it is a period of spiritual preparation through the disciplines of prayer, fasting and almsgiving. It was “little” both because the duration of time is shorter (4 weeks vs 40 days) and because the Church does not command the same rigor as Lent. Nevertheless, it is the same set of exterior practices and same spirit that sanctifies the season. Just as the Magi relied on the cosmos to bring them to Christ, it bids us to “stay awake” in the season when the night grows longer. It is not until the “Light of the World” enters on December 25th that the days will begin to get longer again. It is not just the words of nature that speak of His coming but the words of the prophets. The Church borrows the words of the prophets in the Advent liturgies not so much to show they were right but to make their fervent expressions of longing our own. God’s word is living and active and never returns to Him empty (c.f. Heb 4:12, Is 55:11). We must wrap our hearts around His words through the prophets. Advent is an excellent time to reflect deeply on Scripture and to protect it from becoming a dead letter in our lives. If vigilance is the spirit that animates Advent, then how is it set apart from the other times of the year? After all, we should always be on watch. Of all the liturgical seasons, Advent is, in many ways, a natural expression of man’s religious instinct. Every one of us has a deep desire for God. Advent allows us to give expression to that yearning. That desire is so deep within us and such a natural part of our daily existence that we often become drowsy. We need a short season like Advent to remind us that this is the fundamental orientation of our lives. We should be more vigilant throughout the rest of the year because we have paid our dues in Advent. Fasting while we await the arrival of the Bridegroom is also a key aspect of Advent. Unfortunately, this is a practice that has fallen off of most Catholics’ radar. But Our Lord not only assumed that His disciples would fast (Mt 6:16), He attached many graces to its practice when He Himself fasted in the desert. Like Our Lord’s fast, ours should be a fasting from food. Because food is necessary to life, the hunger we experience in going without, is felt at the core of our being. We give up what is necessary because we want the One Thing that is most necessary. Fasting from other good things is praiseworthy but because it does not share this same essential quality, it should be used as a supplement and not a substitute. Advent also should be a time that centers on the Eucharist. 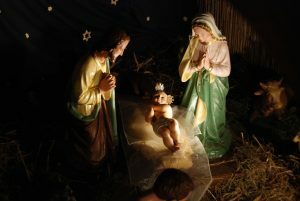 The goal ought to be to receive Our Lord in the Eucharist with more love and fervor on Christmas Day than we ever have. The Eucharist ensures that Christmas Day is not merely symbolic. We truly receive what we have been preparing for, even if still veiled in the Sacrament. The entire purpose of all the season is to receive Christ in His fullness and permanently. It is not only Christmas Day but the entire season of Advent that is protected from becoming a symbolic gesture by the Eucharist. Spending more time “keeping watch with Our Lord” for an hour of Adoration ought to be a key practice of Advent. Likewise, we should increase our frequency of Daily Mass attendance, asking for the grace to receive Our Lord more perfectly each time. The Eucharist has a magnetic quality of sorts about it in that the more you receive Our Lord, the more you desire to receive Him again. There is no better way to make real the goal of Advent than by allowing Our Lord to bestow this gift upon us. Before closing, a brief word about celebrating Christmas early. We should make every effort to avoid Christmas parties before Christmas. The spirit of Advent is not celebratory but instead is meant to gather steam for the great celebration of Christmas. A celebration that lasts 12 full days. There are certain graces attached to each of the Liturgical seasons and we should follow the timing of the Church to receive those graces to the full. 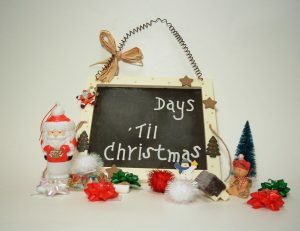 All too often we are so exhausted by December 26th that we are in no mood to celebrate 11 more days. If we have done the work of Advent, however, we will feel much differently. As a child, I used to have an Advent calendar that would count the days until Christmas, rewarding me for my patience with a little chocolate treat. While I may have enjoyed the chocolate, it was merely a way to keep myself occupied until the big day. If I could have shortened the wait time, then I most certainly would have. I suspect there is a universality of my experience among all children, an experience that many of us never truly grow out of as the celebration of Christmas continues to encroach deeper into the season of Advent. 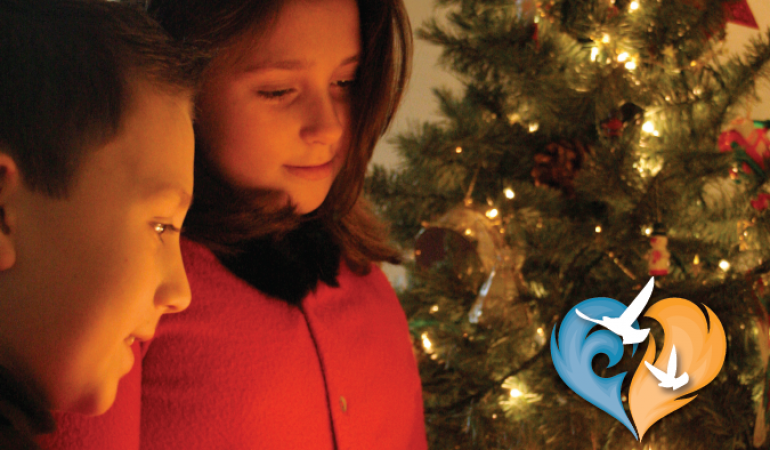 Let us put away the things of a child and live Advent this year to restore the true joy of Christmas.